Stomp in Missoula Montana to witness STOMP perform live at the Adam Center on University of Montana campus. On Tuesday, February 2, 2016, at 7:30 pm the inventive and invigorating stage show that’s dance, music and theatrical performance blended together in one electrifying rhythm. Percussion instruments are some of the oldest music-makers in the world, perhaps only second to the human voice itself. This diverse family of instruments is integral to music in every known culture, and includes a vast array of musical sounds. A “percussion instrument” is any instrument whose sound is generated via striking, rubbing, shaking or otherwise impacting a surface to create audible vibrations. Stomp has a gift for taking ordinary objects and turn them into incredible beats. STOMP is explosive, provocative, sophisticated, utterly unique, and appeals to audiences of all ages. The international percussion sensation has garnered an armful of awards and rave reviews, and has appeared on numerous national television shows. The eight-member troupe uses everything but conventional percussion instruments – matchboxes, wooden poles, brooms, garbage cans, Zippo lighters, hubcaps – to fill the stage with magnificent rhythms. The return of the percussive hit also brings some new surprises, with some sections of the show now updated and restructured and the addition of two new full-scale routines, utilizing props like tractor tire inner tubes and paint cans. As USA Today says, “STOMP finds beautiful noises in the strangest places.” STOMP. See what all the noise is about. Blue Mountain Bed and Breakfast hosts guests from many different areas of the world. Guests visit Missoula to experience outstanding performances, witness competitive sports, walk historic trails, ski beautiful snow, taste delicious cuisine, shop incredible retail, and so much more! Blue Mountain B&B guests enjoy being near to all the fun while still being at a gorgeous and peaceful mountain setting with views of the Bitterroot River. The Missoula Insectarium first opened its doors to the public on June 25, 2015. It is located in downtown Missoula at 218 E. Front Street on the second floor. It costs $4 for guests (ages 4 and older) to take a tour. They are open Tuesdays through Fridays from 11 am to 5 pm and on Saturday from 10 am to 5 pm. You can contact them at 406-317-1211. Reporter Lindsay Brawner, from ABC Fox Montana Local News, interviewed The Missoula Insectarium Founder and Director Jen Marangelo (see the video below). The Director said they would like for people to gain a better appreciation for the vital role that insects play. Their goal is to educate the public about the fascinating lives of these important creatures through exhibits and educational programs in a family friendly environment. The Missoula Insectarium is here for the community, both adults and kids, as well as here as a tourist destination. Insectarian Educational Director Carolyn Wiley runs the classroom aspect. She often witnesses the transformation of students who are initially reluctant to touch the insects who leave as fans. The Missoula Insectarium will provide programs and field trips for school groups, homeschoolers, and other organized groups. Butterfly houses and insect zoos have proven to be enormously popular with the public wherever they appear and are used to generate increased visitation and revenue for many zoos, museums and other non-profit organizations. Director Jen Marangelo’s next dream is to create a greenhouse filled with butterflies that is large enough for people to walk through and see them. They will receive captive-bred butterflies (actually the chrysalides) from breeders around the world (primarily Central and South America). As a unique resource for our local community, schools, and visitors to Montana, the Missoula Butterfly House & Insectarium will provide an unparalleled opportunity to learn about the fascinating lives of insects and butterflies. By taking advantage of the ever-increasing popularity of these exhibits and by providing a state-of-the-art facility, The Missoula Butterfly House and Insectarium will be an educational and recreational resource for the local community as well as visitors to the Missoula area. Innkeepers Brady and his wife Elaine (a school teacher) welcome you to stay at their gorgeous Blue Mountain Bed and Breakfast in Missoula, Montana. Consider touring The Missoula Insectarium when you visit as guests. 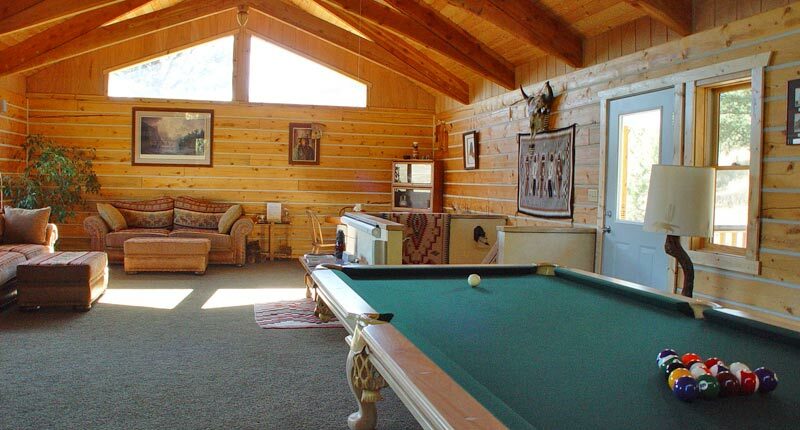 Their quiet mountain setting makes the perfect relaxing getaway! When you visit Splash Montana at Playfair Park in Missoula, you are welcome to be overnight guests at Blue Mountain Bed and Breakfast. Our luxurious accommodations include five well-appointed guest rooms as well as access to our recreation area in the Lodge. We have a deluxe pool table for playing billiards and a wide-screen theatre system for viewing movies while tasting popcorn or other snacks. Each morning, hosts Brady and Elaine will treat you to a fresh gourmet breakfast. With scenic views of nature, this is the perfect place to relax and enjoy bonding time with loved ones. This and so much more await you and yours. Now is a great time to visit Blue Mountain Bed and Breakfast! Adventure Cycling Association has over 48,000 members worldwide. Their Headquarters is located at 150 E. Pine St., in Missoula, Montana. Their office hours are Monday – Friday 8 a.m. to 5 p.m. Mountain Time, and during the summer months, they open on select weekends. Missoula is located at the northern end of the Bitterroot Valley, which offers lots of great bicycling opportunities, including a 50-mile bike path paralleling the Bitterroot Mountains. Adventure Cycling Association is located in a character-filled, historic downtown area, surrounded by a variety of restaurants, seasonal markets, coffee shops, retail stores, and the University of Montana. 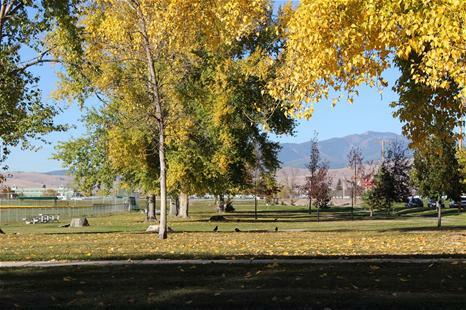 The city also has an extensive parks, trails, and open space system. Missoula is on a number of Adventure Cycling’s mapped routes and is visited by hundreds of bicycle travelers each year. Some are riding coast to coast across America, others are on shorter trips to destinations such as Glacier National Park or the mountains of British Columbia. Still others are on camper-van family vacations or trekking to Missoula for work, and take the opportunity to visit the place many people consider the bicycle-travel mecca. Visitors to Adventure Cycling receive a hearty welcome, a cold beverage, an ice cream treat, and a Polaroid photo taken of them that goes up on our seasonal wall of fame. They can also enjoy kicking back in their Cyclists’ Lounge, which is full of bicycle-related reading material, including information on local rides, and offers free internet access. Occasionally, they share a barbecue with group rides, such as their own TransAm tour, and Push America, a group of college students who ride cross country each year to raise funds and awareness for people with disabilities. Adventure Cycling was founded as Bikecentennial, a 4,250-mile TransAmerican bicycle ride in the summer of 1976, with over 4,100 participants. Their 40th anniversary will include The Montana Bicycle Celebration, July 15 – 17, 2016 in Missoula, Montana and will bring together bike travelers from all over the world. On the same weekend, Tour of Montana will host professional bike races, an expo, and a Gran Fondo. Two new annual events, set to kick off in 2016, will inspire a bike travel movement throughout North America. National Bike Travel Weekend, June 3 – 5, 2016, will motivate bike travelers from all over North America to go on bike overnights through a festive online community. Adventure Cycling will provide do-it-yourself resources and an interactive map that will connect bike travelers during what will be the most prolific weekend of bike travel in North America. Bike to Your National Park Day on September 24, 2016 will celebrate the National Park Service’s centennial, National Public Lands Day and Adventure Cycling’s 40th anniversary by promoting bike travel to and within national parks, state parks, and other recreational areas. In honor of the 40th anniversary, in 2016, Adventure Cycling will offer extra TransAmerica Trail tours and other special epic tours, including on Bicycle Route 66, the Underground Railroad and the Great Divide. Sign-ups will be available on the Adventure Cycling website in the summer of 2015. For those who cannot attend Adventure Cycling’s events or tours and want to plan their own reunion or ride, Adventure Cycling will provide online tools and resources to help plan Do-It-Yourself Reunions and Celebrations throughout 2016. Blue Mountain Bed and Breakfast welcomes cyclists. The benefits of biking include better health (increased physical activity) as well as a better environment (no use of fuel). Let hosts Brady and Elaine start each morning right with a delicious hearty breakfast. Bicyclists can return each evening for a restful night’s sleep in one of our luxurious guest rooms. Indeed, it is the most wonderful time of year. Tis the season for joy, giving, and togetherness. Tis the season for shopping. Our Blue Mountain Bed and Breakfast guests can enjoy three distinct shopping areas in Missoula, Montana. Each area has a variety of thoughtful holiday gifts for December and the coming New Year. Downtown Shopping is home to delightful specialty shops, boutiques, and galleries offering clothing, jewelry, and other gifts for loved ones. The Missoula Downtown Association website conveniently categorizes the downtown shopping by type of merchandise and even lists places for Downtown dining. 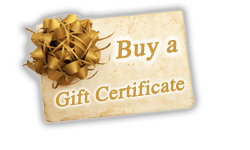 The Missoula Downtown Gift Card can be purchased online or in person at 218 E. Main Street, Missoula. Accepted at over 150 locations throughout the downtown area, this is one of the most versatile gift cards they’ll ever receive. Southgate Mall is a convenient Missoula shopping destination. With more than one hundred specialty and name brand stores, there is something for everyone. Southgate Mall is the largest mall in western Montana and offers offer women’s apparel, shoes, kid and teen clothing, jewelry, sporting goods, electronics, appliances, and more. certificates for Blue Mountain Bed and Breakfast are always a popular item this time of year as well! Comments Off on Blue is Beautiful Photography Contest! Blue is Beautiful Photography Contest! Brady and Elaine of Blue Mountain Bed and Breakfast in scenic Missoula, Montana invite you to enter the #BlueIsBeautiful Contest. Enter on either Twitter or Facebook to win a free one-night stay for two people (including breakfast in the morning) at their lovely bed and breakfast. We want to inspire you to find things in nature that are blue and take pictures of them. When you visit Blue Mountain Bed and Breakfast, beautiful nature is all around you from the blue, Bitterroot River to Blue Mountain which we call home! 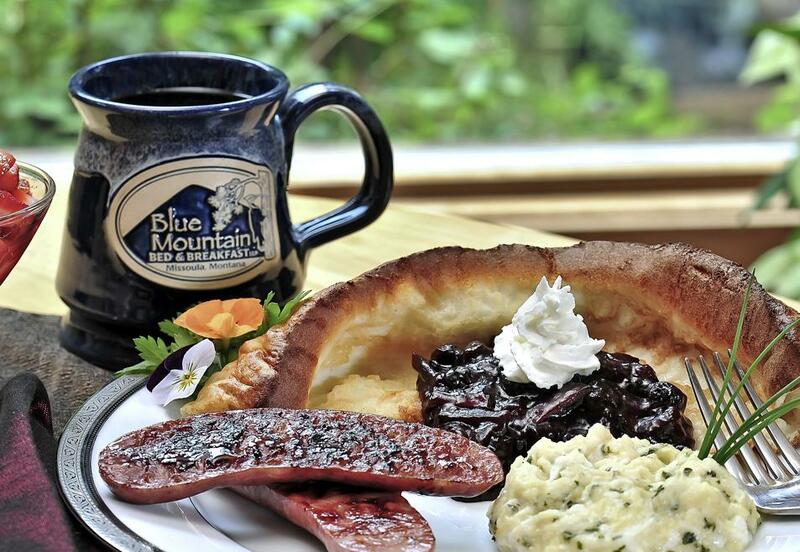 Mention @BlueMountainBB in the tweet or Blue Mountain Bed & Breakfast in the Facebook post. Be a photograph taken by you (or a photograph used with permission by the photographer). Be a picture of something blue found in nature. The photo you enter can show nature’s beautiful blue from anywhere in the world. Be following @BlueMountainBB on Twitter or Facebook. Be age 21 or older. Enter photo or photos between Nov. 14 2014 and Jan. 14 2015. Each photo entered in our contest must be different, but the same person can tweet and post different pictures as separate entries into the contest. While the contest is going on, Blue Mountain Bed and Breakfast will re-tweet and re-post various entries. This does not necessarily mean that re-tweeted or re-posted entries are the winning picture. It will be fun knowing that your photo is one of the photos got shared with all our followers! Again, we welcome national and international photos since our world is a big, beautiful place! Only one winner from TWITTER and a different winner from FACEBOOK will be chosen. The winner will be the one who tweeted or posted the picture that best represents the beauty of blue in nature as determined by innkeepers Brady and Elaine. Both the winning tweeter and the winning Facebook poster and their respective guest will each experience a free one-night stay for two at Blue Mountain Bed and Breakfast! Prize includes fresh gourmet breakfast for two in the morning. Photo Contest begins Friday November 14, 2014 and will end January 14, 2015. Let the color blue and a visit for two inspire you to take the winning picture! Did you know that in the United States and European public opinion polls, the color blue is overwhelmingly the most popular color, chosen by half of both men and women as their favorite color?! Blue is the color of the deep sea and the clear sky. Of course, flowers, butterflies, blueberries, blue jays, and blue whales are also blue. There is even a Blue Linkia Starfish. Earth is sometimes called the blue planet. In fact, the farther away an object is, the more blue it often appears to the eye. For example, mountains in the distance often appear blue. That is why we are called Blue Mountain Bed and Breakfast. Will each receive a one night stay in an available room of their choice, accompanied by breakfast. Summertime limitations apply (two-night minimum stay). Prize/gift certificate is good until Jan. 15, 2016. If you fall in love with the color blue and decide you would like to visit us regardless of your winning status, we would be honored. Just tweet or post your photograph according to the contest rules for a discounted stay with us! We are so appreciative of those who mention our contest to others and encourage them to follow us on various social media sites as well. Thank You! For ANYONE entering the contest who is also following us on Twitter and/or Facebook, we will be happy to give you a 15% discount on your stay. Mention the contest and your photo when booking on-line or call us directly at 1-(406)-251-4457. A restful night’s sleep and a delicious breakfast await you! 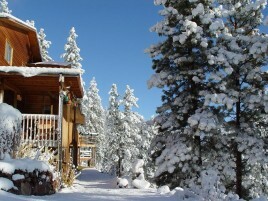 Visit Blue Mountain Bed and Breakfast in Missoula, Montana. This You Tube video, produced by Visit Montana, shows our majestic mountains from awesome aerial views. We have freshwater lakes and creeks to go fly fishing as well as mountain peaks to climb. Ride down the river by river boat paddling. Like horses? We have lots of horses to ride or to watch being tamed in Montana. Our wildlife is incredible. It is common to see moose in the river. Owls, eagles, and other birds fly in the Big Sky. Our snow is perfect for buffaloes to roam as well as for snow skiing escapades and cross country skiing adventures. We are home to the University of Montana. Go Grizzlies! Ride a motorcycle on our open roads. See the beautiful way Native American tribes dress and even attend powwows in our area. We have beautiful clear water. Our animals “range” from deer, donkeys, rams, bears, squirrels, and more. Experience the beauty of a walking tour or travel via a tour car. Montana is one of the most beautiful states to live in. Whatever you decide to do here in Montana, we hope you stay with us at Blue Mountain Bed and Breakfast. We have three lovely rooms and two special suites to choose from. Read all about the Blue Mountain Experience. Savor our bountiful breakfasts with the option for us to serve dinner to four or more guests. Brady and Elaine are wonderful hosts. They also host special events such as weddings, anniversary celebrations, and family reunions. Blue Mountain Bed and Breakfast has earned several accreditations. We offer directions to get to our Missoula, Montana location. Please check out our area links and area events to get a better understanding of all that is available in our fantastic community. We also have onsite leisure and activities to experience. Escape today to stay at Blue Mountain Bed and Breakfast. We have gorgeous mountain views and scenic Bitterroot river perspectives. 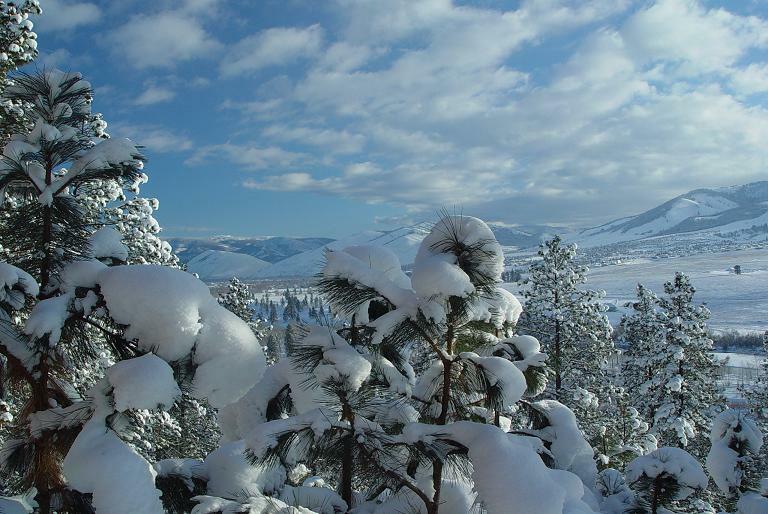 Blue Mountain Bed and Breakfast loves being in MisSOULa, Montana! Remember Paul McCartney will make his first ever appearance in Missoula, Montana when the “Out There” tour rolls into Washington-Grizzly Stadium on August 5, 2014. We love MisSOULa and our guests do, too! There is nothing like the Blue Mountain B&B experience! 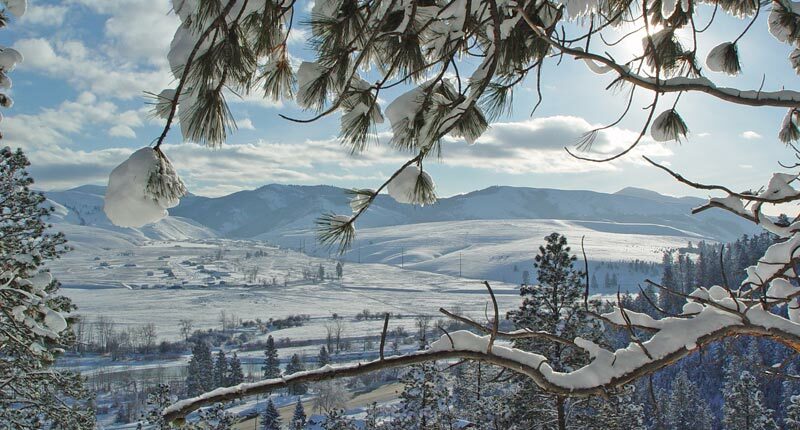 Did you know that Missoula, Montana is the perfect place to visit? Especially when you become a guest at Blue Mountain Bed and Breakfast. 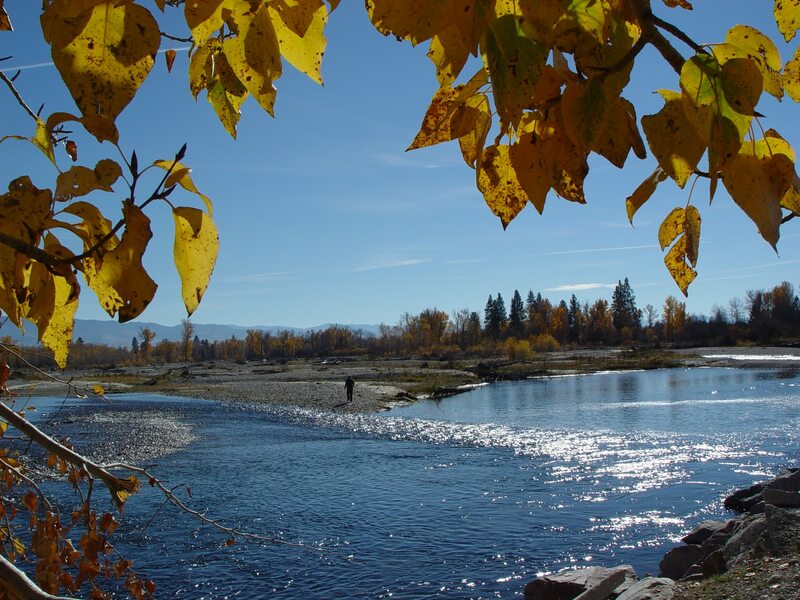 You will enjoy spectacular views of the stunning Bitterroot River, encompassing mountains, and beautiful valley below. 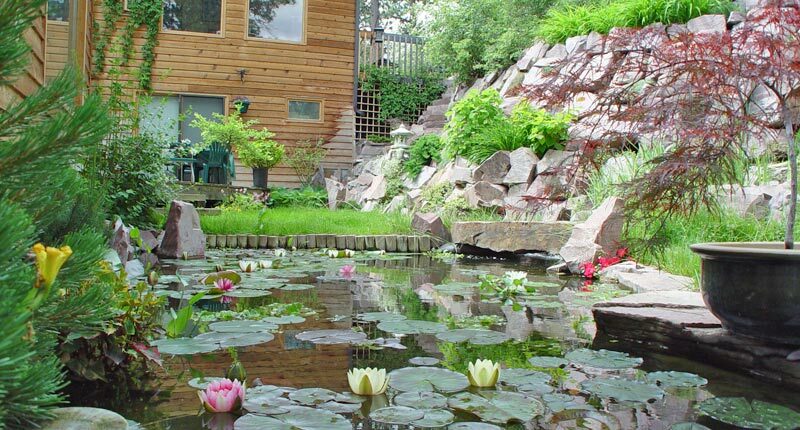 Our comfortable and elegant B&B offers a relaxing mountain retreat to our guests. Conveniently close to the peaceful and scenic Blue Mountain Bed and Breakfast, the International Heart Institute of Montana brings together a recognized team of cardiologists, heart surgeons, nurses and researchers to perform advanced cardiac procedures and to search for new and improved ways to treat heart disease. Founded in 1995, IHI involves physicians and staff of St. Patrick Hospital and The University of Montana in Missoula. They are one of the Top 50 Heart Hospitals in our country. With your doctor’s approval, you can take good care of your heart by walking, biking, or hiking the historic Lewis and Clark trail. Travelers’ Rest State Park and the Lolo Trail are only four miles from our door. 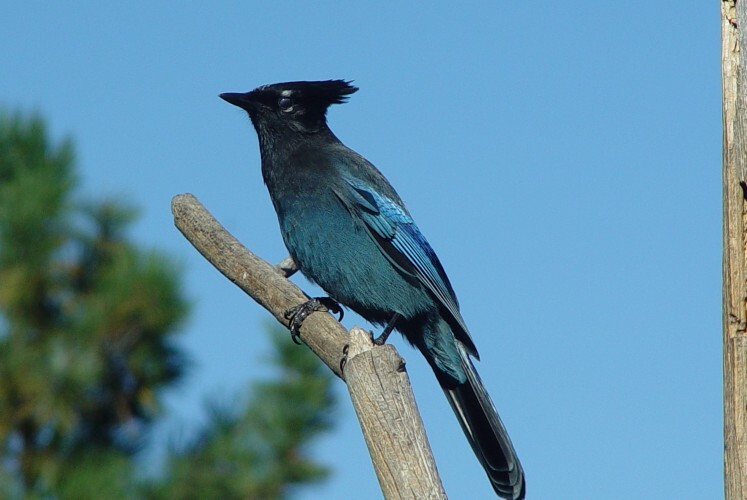 Blue Mountain’s Bed and Breakfast offers privacy to our guests as well as a window to Montana’s many native birds, chipmunks and wildlife in their own natural habitat. Walk our grounds to see our delightful garden and take in our gorgeous panoramic view of the mountains, valleys, and waterfalls. Innkeepers Brady and Elaine know a lot about the history of the area. In fact, family stories related to the settling of the West include a great, grand uncle who was one of the first tour guides in Yellowstone Park. They share their family’s history with informative and entertaining displays and albums at their bed and breakfast. Elaine is a certified tour guide who can provide you with a personal camp-side Montana Trails and Tales “tour” (with advanced reservations). While relaxing in either the forested picnic area or the Lodge, enjoy a personal storytelling hour as she introduces you to the fascinating oral history of the area through story and song. Whether you are vacationing, taking a business trip, or visiting the Heart Institute, make your heart happy by booking a reservation today!